I know y’all must think Purrseidon and her water addiction is strange (so do I) … some have speculated that she is a dog in a cat’s body: others have speculated that she believes the Purrtectors I write about in the Sea Purrtector Files are real and she wants to become one … We initially noticed her water obcession when she LIKED getting squirted with a water gun for climbing on the kitchen counter. As she got older, she would beg to go out whenever it rained and/or the lawn sprinkler was on. I thought it was a very odd phase and she would grow out of it. Instead, it got worse. Due to our country leash laws, she had to learn to walk on a leash in order to go outside… With the reward of getting into the rain and/or possibly roll in a mud-puddle, she learned fast. 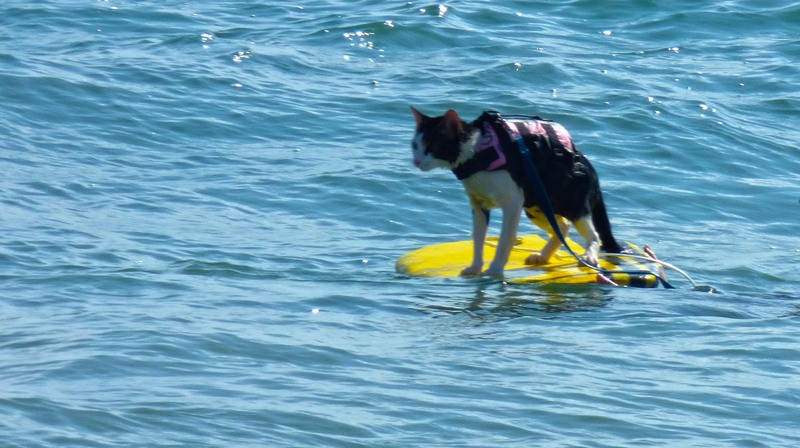 Then, she was allowed to go to a local beach and fell in love with the idea of riding a boogie board…. 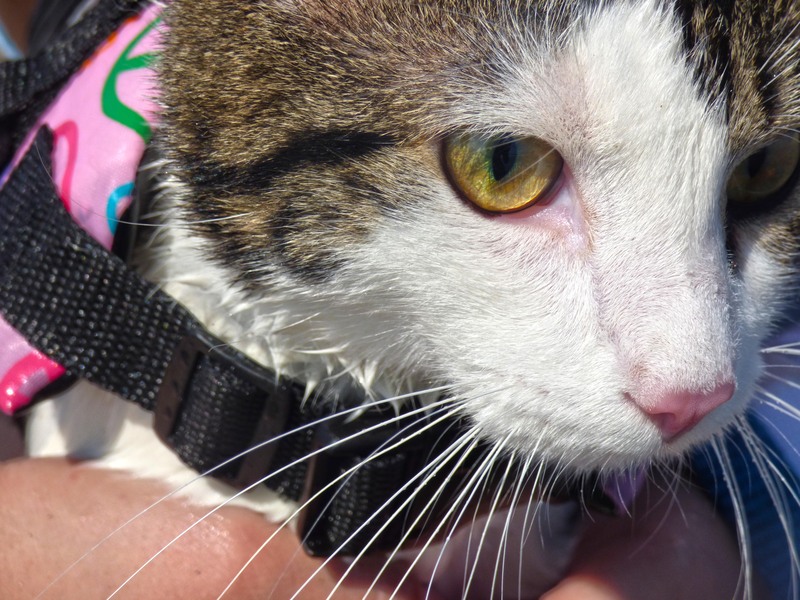 This was not a good idea without a life jacket, but Ms. Munchkin volunteered to teach her, as soon as she had a vest…. 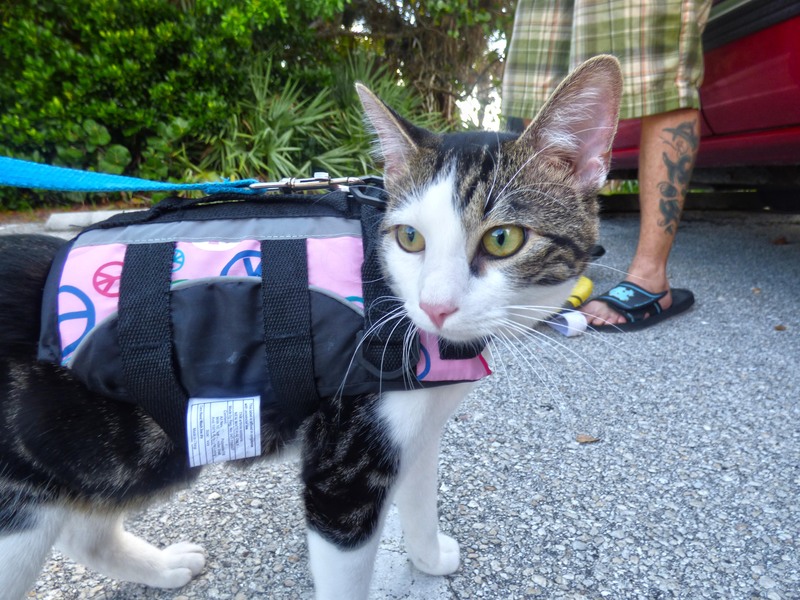 IF anyone makes life vests for cats, they need to advertise better because I couldn’t find their product. However, they are made for dogs, so she now has two life jackets – the pink one in this photo is a doggie XXS and she has a yellow doggie XS, for when she grows (she is only 7 months old). 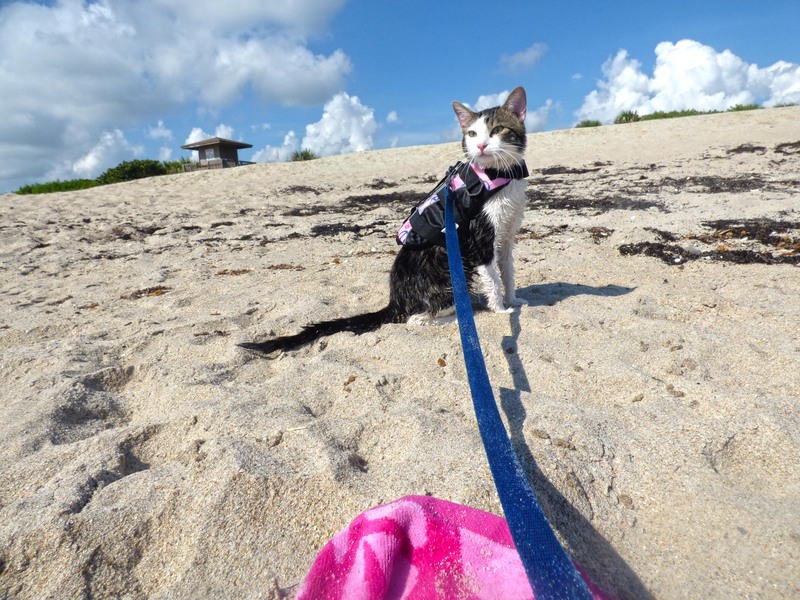 Today, was a beautiful Sunday morning and time for boogie board lesson one — Purrseidon loved it and did very well.